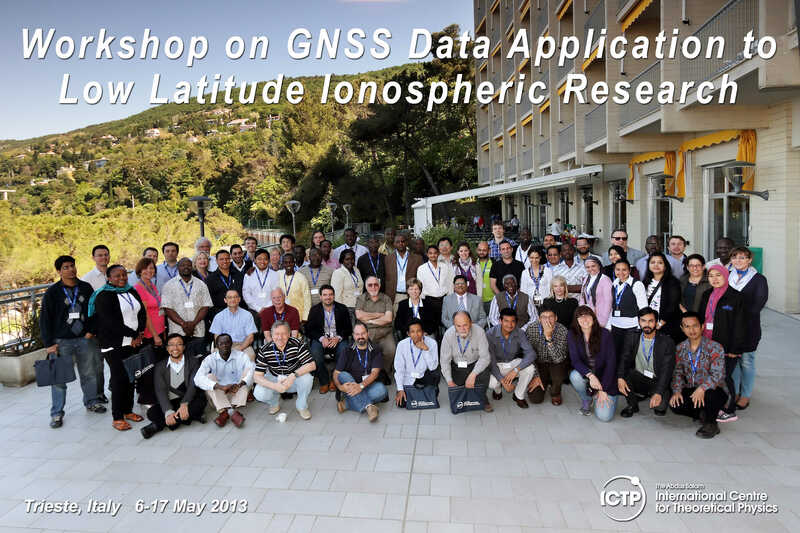 Dr. Quirino Sugon of the Upper Atmosphere Dynamics program participated in the Workshop on Global Navigation Satellite System (GNSS) Data Application to Low Lattitude Ionospheric Research in Trieste, Italy from 6 – 17 May 2013. The workshop was organized by the International Center for Theoretical Physics (ICTP) in Trieste, Italy; Boston College; and the European Space Agency. For more information, see http://indico.ictp.it/event/a12180 .